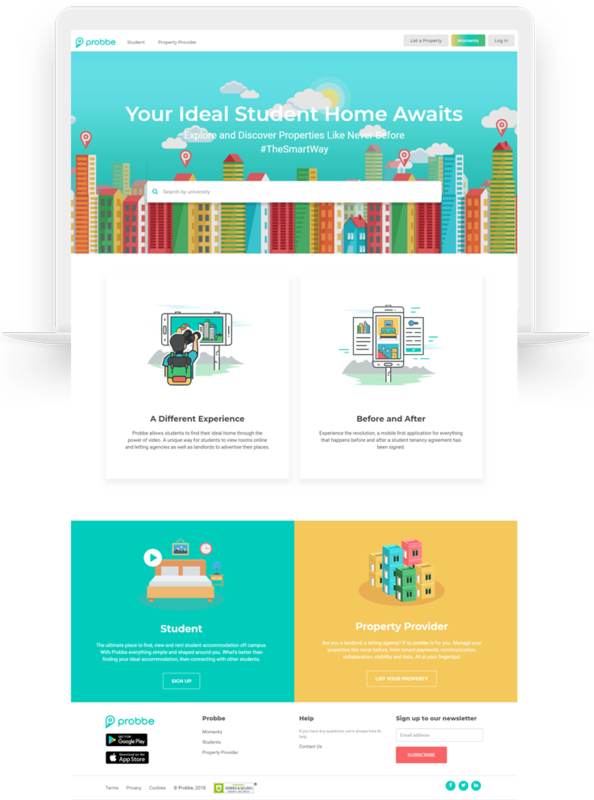 Probbe is a unique student centric app that provides a platform to the student community to cater to their special requirements like accommodation rentals. It brings to the table a reliable pool of property owners to cater to a students accommodation needs.. 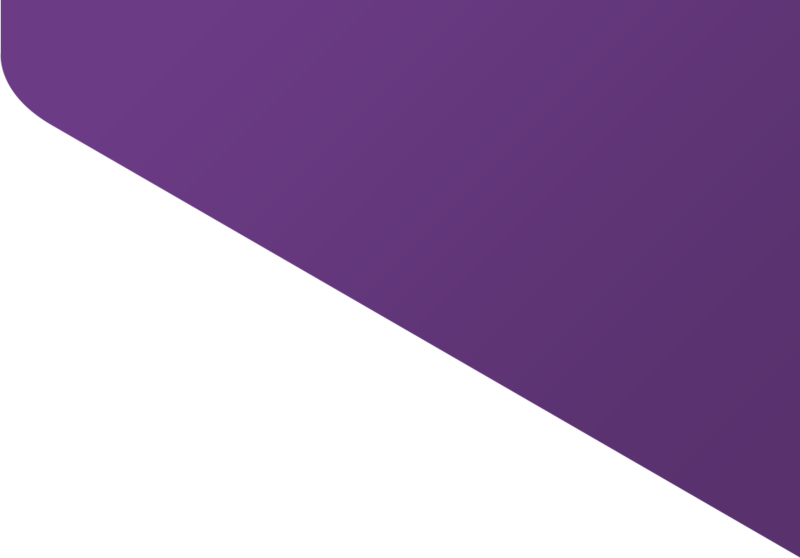 Experience the revolution, a mobile first application for everything that happens before and after a student tenancy agreement has been signed. designed with an upright stress, open forms and a neutral, yet friendly appearance. It was optimized for print, web, and mobile interfaces, and has excellent legibility characteristics in its letter forms. Are you a property owner or a letting agency? If so Probbe is for you. Manage your properties like never before: from tenant payments, communication, collaboration, visibility and data. All at your fingertips! 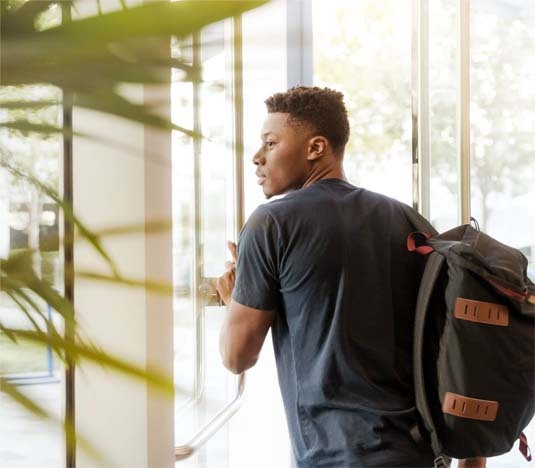 We have systematized, coordinated and organized an effective way for the property providers to better connect and integrate with student tenants, end to end. The prospective tenant can view the picture of the property on the app, go ahead to book, and finalize the deal from one place. 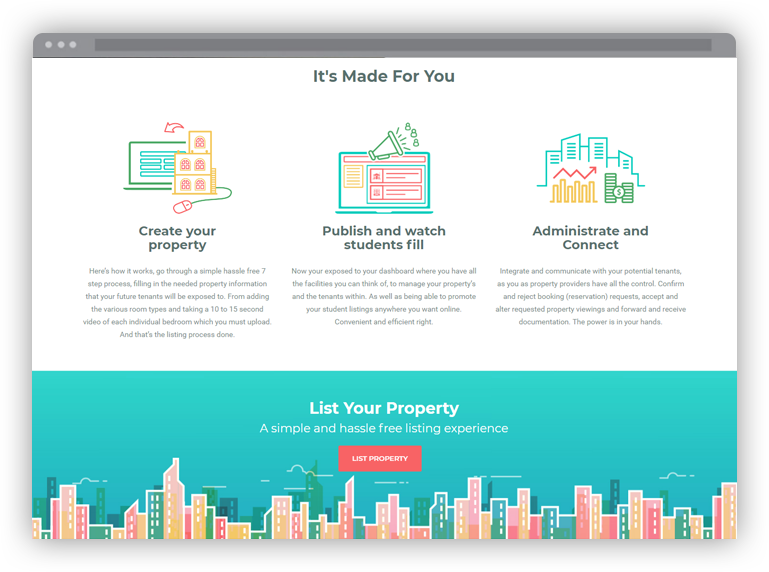 This will cut hours of time and effort needed to rent and manage properties. The ultimate place to find, view and rent off campus accommodation. With Probbe everything is simple and shaped around you. Find your ideal accommodation, and then connect with the student community. 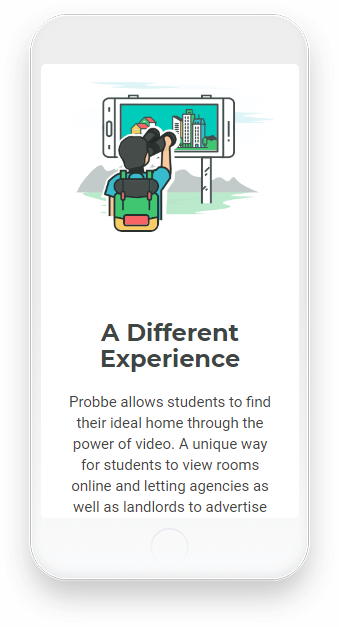 Probbe allows students to find their ideal home through the power of video. 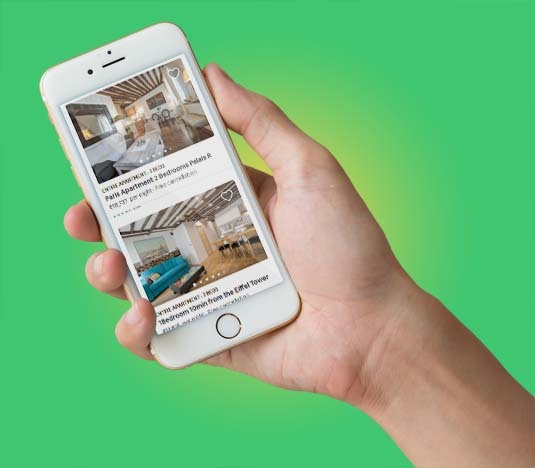 This unique feature lets students view rooms online and the letting agencies as well as proprietors to advertise their rentals. Students can manage their rents, accommodations and all other details pertaining to house hunting online.